The posts made by MostyFive0 are actually done by me, Sam. I maintain this blog because I love Hawaii Five-0, and my main focus is on Steve McGarrett. For me he is the most interesting character. That said you will find that my reviews and also most posts are not objective. They mirror my personal enjoyment of the show. I am not an employee of any newspaper, so I don’t have to keep the post neutral and give every side something to enjoy. That is not my job. BUT I respect all the hard work the actors and producers put into this show. I don’t enjoy them all equally, and I don’t feel the need to hold back with my opinion on the characters of the show. Do not mistake that with my opinion about people playing these characters. The one has nothing to do with the other. My blog mirrors how I perceive this show. If you disagree… that is just fine. I don’t claim in any way that my opinion is the right and only one. All other posts will most likely resolve around Alex O’Loughlin in some form or the other. 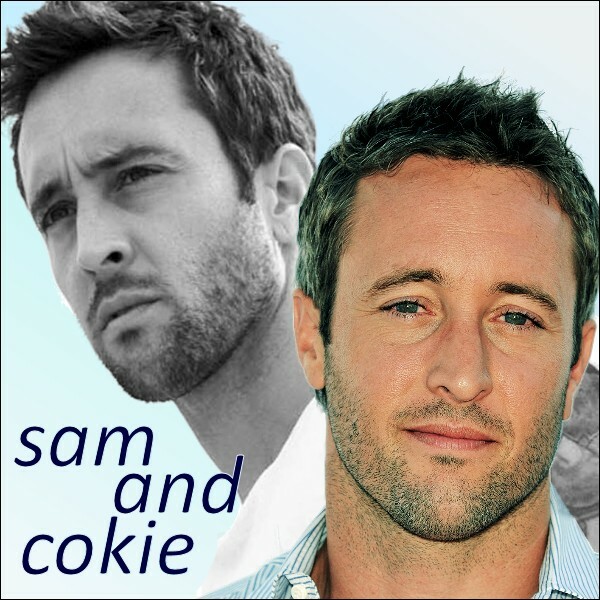 I’m a longtime fan of his, so you will find more than just Hawaii Five-0 here. But that is his current project, so there you go. English isn’t my first language, so please forgive any mistakes you might find on this blog. I’m very happy to introduce you to a new member of Mostly who will post her own posts, or at least greatly participate in them. But, you know, she can tell you about herself. Welcome Cokie. Her posts will be under SamAndCokie. Thank you, Sam. I have to say that I am new to blogging, so please bear with me. Sam and I hope that we can get a lot of participation and have some fun this summer while the show is on hiatus. Please check often to see what we have planned for that day! I should warn you that at times I make snarky comments. They are meant in fun and not made to upset anyone. I love the show and its characters, and while I like some more than others, what drew me here is the team aspect of the show. OK, maybe that isn’t entirely true. I found out Alex was playing Steve McGarrett and I was in. But I really do like the team! Sam, thank you for putting up with me. I look forward to a fun-filled summer and a fantastic Season 5!!! If you like you can check out our sites on FanFictionNet. Click on the pictures for the link. And you can visit our new blog where you can find exclusive stories that are not on FFnet. Also some other interesting stuff. Great job keep up the good work. We can always agree to disagree. But love the show still. But really love Danny, Grover, and Chin more. Yes like Steve but love them both!